You will work together closely with the business world and our “70 Partners in Education”. 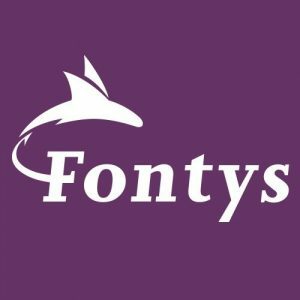 In the MT500 of September 2018, Fontys emerges as the most attractive employer among Colleges and Universities in the Netherlands! Do you personally find growth and development just as important as we do? Then we will be happy to meet you! We challenge you to develop your talents further and to contribute to our ambitions. We will naturally support you in this. For example, we offer a wide range of career and development possibilities and we have an extensive programme for a healthy and active lifestyle (the Fontys Vitality Programme). Furthermore, we have an end-off-the-year bonus, a number of collective insurance schemes, flexible working hours and a leave scheme. FHICT is a leading and innovating organisation that offers modern and interesting ICT-education at the levels of Associate degree, Bachelor and Master, both in full-time and part-time programmes. The over 3000 students of FHICT are being trained to become professionals in any function imaginable in the modern ICT business. Each student composes his or her own study-programme, based on their interests, passions and talents. We work together closely with ICT-businesses and organisations in the field, our so-called Partners in Education. This way cross-fertilisation takes place between education, research and practice. What's so good about working at FHICT? If you ask our employees whats so great about working at our organisation, then they will most certainly tell you that FHICT offers you the opportunity of truly deepening your knowledge of education. You will receive supervision and help from our organisation and your colleagues, especially in the beginning, but theres also a lot of freedom for personal initiatives and innovation. Communicative strong, coaching-minded, open-minded, innovative and solution-oriented. We require at least a Bachelor degree and several years’ experience in the field of (technical) information technology. You are fluent in English, both orally and in writing and have basis knowledge of Dutch. You are prepared to obtain a Teaching Qualification (Basiskwalificatie Onderwijs, BKO). In the English Stream we educate students in three different focus areas: Software Engineering, Business and Technology. We are looking for new teachers who have knowledge of and experience with several or all (technical)-related aspects. A combination of these focus areas is highly preferred. Fixed-term with potential for permanent. Pay grade based on experience and background.